A number of years ago something incredible, an amazing coincidence, happened that started Doctor Warrick Bishop on the mission to prevent heart attacks rather than try to cure them. He was driving to work one day when he stopped at a commotion by the side of the road. A fun runner had collapsed during a fun run with a heart attack. He helped in his resuscitation only to find out that had seen the very same man two years earlier and reassured him that he was fine. Warrick had missed the chance to make a difference and it nearly cost a life!! . Based on risk calculation and the best practice of the time, he shouldn't have been at high risk.....but he was! This important question started him on a journey which meant he was open to looking more closely at new and emerging technology to help in being more precise about the risk of heart attack. What if we could PLAN NOT to have a heart attack? Heart attack’ is a layman’s term referring to a narrowing or blockage of the coronary arteries that can kill, or requires some form of medical intervention such as medication, time in a hospital, balloons or stents, or coronary artery bypass grafting. As a cardiologist, I have not yet met a patient who expected to have a problem; patients do not put into their diaries “possible problem with my heart next week”. Yet, what if we could be forewarned about, or prepared for, a potential problem with our coronary arteries? What if we were able to put in place preventative measures that may avert a problem? 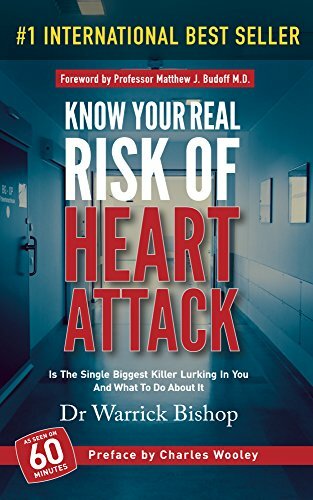 What if we were able to take away the surprise of a heart attack occurring ‘out of the blue’ and replace possible fear with prepared understanding?